You packed up your old house and successfully moved everything into your new one. You’re about to take a big sigh of relief that the hard part is over and you can finally make your new house start to feel like home… until you realize that some of the furniture from your old place just doesn’t work in your new one. Whether the sofa is too small for the living room, or your old bedroom set overwhelms your new master suite, there’s a good chance that, when you move, there are going to be certain furniture pieces that just don’t work the same way in your new space. The good news is, with a little creative rearranging, and perhaps the addition of a few new pieces, all your old furniture can look like it was meant for your new home. Here, a few of our best tips for making it work. 1. Take pieces out of context. One of our favorite design tricks we use with our room makeover clients at Decorist is taking furniture completely out of context—it’s one of the easiest ways to give a piece a second life. Forget how you used your furniture in your former space and try to imagine how it can be of use in other ways. There may not be enough room for your old bureau in your new bedroom, but that chest of drawers may actually come in extremely handy in the entryway, repurposed as a console. The dimensions of your furniture might not be the only thing that doesn’t work. If you moved from a historic home into new construction, for example, your collection of antiques might feel more dated than charming in the new place. Another design approach we often use is mixing in existing furniture with fresh finds, which can create a style that’s better suited to your new home and help you see old pieces in a new light. 3. Keep only what you love. 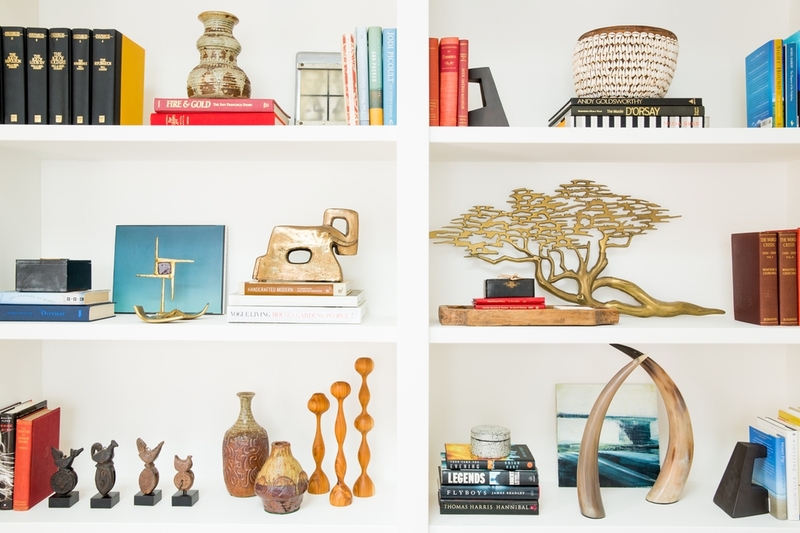 Identify the big pieces you really love in your home (we love Kondo’s way of judging: “does it bring you joy?” — if it does, keep it, if it doesn’t, find it a new home). Don’t have the budget for a new sofa but really don’t like the one you have? Sell those items on Craigslist, and look for new ones that you love- there are some great bargains out there. Marketplaces like Chairish are great places to sell vintage and second-hand furniture. If a style mismatch is the key issue with your old furniture and your new home, consider keeping the furniture, and rethinking your accents and décor instead. Not only can smaller items like throw pillows, area rugs, and drapery make a big difference in the look of a room, but they’re far less costly to replace than furniture. Need help reimagining your old furniture? Or simply want to make your new home shine? We love working with our clients on their new homes, especially when it comes to giving old furniture a totally new style. And we promise the process is a whole lot simpler than moving. To start, you’ll take a style quiz and be paired up with you own dedicated designer based on the results. From there, you can upload pictures of your room (or rooms), your existing furniture, and inspiration photos you love. Your designer will then present you with two room designs, complete with everything from furniture to paint colors, as well as a complete shopping list, and even how-to instructions for transforming existing pieces. Then, it’s up to you to either implement the design as your time and budget allow, or, if you’d rather relax post-move, your designer can order everything for you, and you can simply wait for it to arrive at your door. Get started here for just $199. Decorist is an online interior design service that provides professional decorating help—in your style and on your budget—for a low flat fee starting at $199 per room. 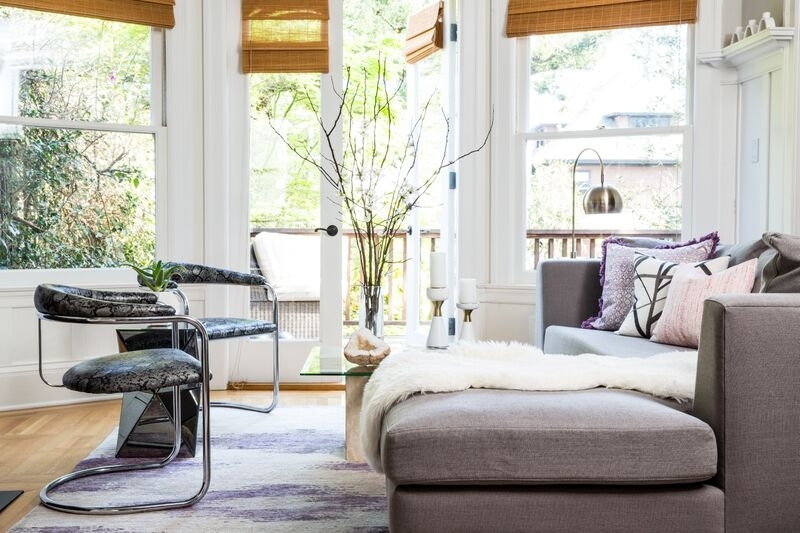 Whether you're moving, renovating or just want a fresh new look, Decorist is the easy and affordable way to design the room you've always wanted.